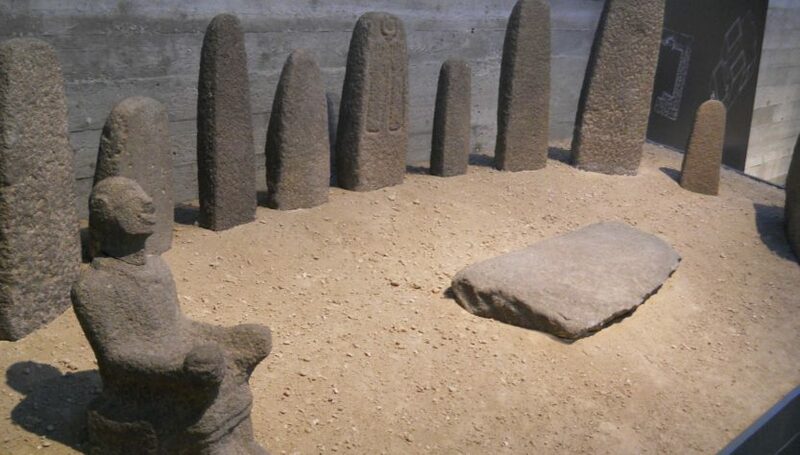 The Mysterious Hazor Statue: The "Allah" Of The Muslims? 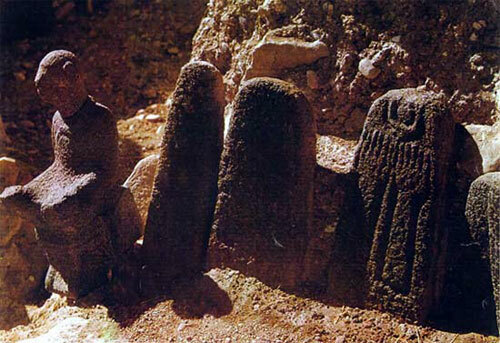 The Mysterious Hazor Statue: The “Allah” Of The Muslims? For years the Christian missionaries have been entertaining the idea that “Allah” of the Qur’an was, in fact, Allah the moon god of the Kaaba and a pagan Arab “moon god” of pre-Islamic times. This theory was first popularised by a fanatical, mid-Western closet-fascist polemicist by the name of Dr Robert Morey, of which his deceptive methods have already been exposed in the past. Naturally the missionaries get very excited at the idea of anything that has the “potential” of demeaning Islam and lifted (or should we say, plagiarised) this claim of Morey. This “theory” later became widespread and gained notoriety among gullible Christians, so much so that Jack T. Chick, another Christian polemicist, drew a fictionalised racist cartoon story entitled “Allah Has No Son”. More examples of this opportunistic propaganda being repeated at various missionary websites all over the WWW  could also be found. We have previously discussed the word “Allah” from an etymological perspective, as well as having shown how the word “Allah” is consistently translated as “Elohim” in a Hebrew translation of the Qur’an. It is obvious that these “pseudo-scholars” have no idea about what they are dealing with, much less understand the subject matter. Therefore, our intention here to expose the ignorance these missionaries have about one of the best-known objects from Israel/Palestine and is now currently on exhibition in the Israel Museum, Jerusalem. The findings in this paper has also been incorporated in Islamic Awareness‘ latest publication, Reply to Robert Morey’s Moon-God Allah Myth: A Look At The Archaeological Evidence, of which this author is one of the co-writers. The central stelae show a pair of hands raised (stipulated to be in adoration) below a crescent plus circle symbol, usually considered to depict the crescent moon plus the full moon. The other stelae are plain. Therefore the whole shrine has been interpreted as referring to the moon-cult. Now let us focus on discussing the object itself4, which is currently being fawned upon by the rabid Christian missionaries and paraded by them as the “moon god idol, Allah. The statue — 40 cm in height — depicts a male person with an inverted crescent suspended from his necklace and holding a cup in his right hand, certainly as an offering. But one is compelled to ask, was the decapitation of the head of the statue intentional or otherwise and if so, what was its significance? But to the scholars who reject opinion (a), it seems illogical that a god should hold offering vessels in his hand(s); the god is usually the one who receives offerings, therefore the statue should, in all probability depict a worshipper to a god, who himself is in a way considered present, either invisibly or in the upright stones (stelae) of the sanctuary. Further, how could a god’s statue be arranged anywhere but in the centre of the sanctuary? The statue in question is seated at the left fringes of the shrine, which can hardly be the proper position for a revered god. Regardless of the differing opinions, however, certainly no serious scholar — including those who considered the possibility that it could be a god — has ever identified the statue with Allah. 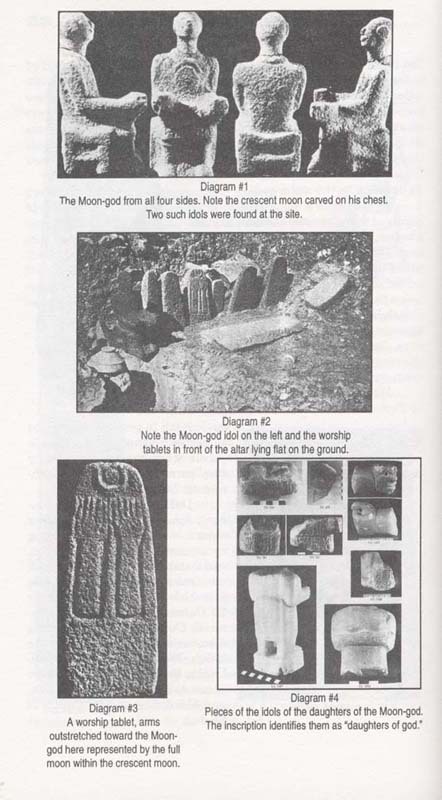 It is clear that, contrary to what Robert Morey or the Christian missionaries would like to themselves admit, the figure presented as the “moon-god” is not even remotely connected to Islam, much less related to the pantheon of the pre-Islamic Arab deities in the city of Makkah and their claim is swiftly refuted by solid, overwhelming archaeological evidence. 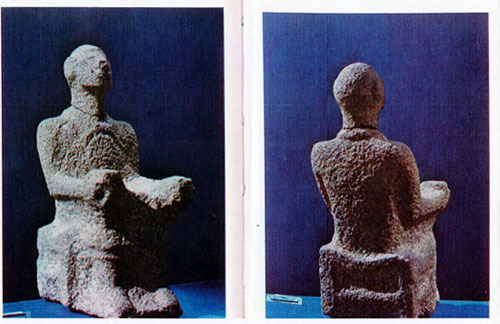 Moreover, this figure was found in the ancient ruins of Hazor (located in present-day Israel) and is not necessarily believed to have even represented a deity. Thus, the contents of the Morey’s inconsequential polemic of the so-called “cult” of the moon-god, most especially the “Allah Hazor statue” polemic, have got nothing to do with serious ancient Near Eastern scholarship and should, therefore, be utterly dismissed outright by any objective person. Its obvious intention is clearly to defame Muslims and the religion of Islam — and nothing else. We would also like to add that the findings in this paper has also been incorporated in Islamic Awareness‘ latest publication, Reply to Robert Morey’s Moon-God Allah Myth: A Look At The Archaeological Evidence, of which this author is one of the co-writers. The paper also looks at various aspects of the propagation of the moon-god myth not covered in the scope of this article, therefore we would implore the interested readers to have a look at the paper by Islamic Awareness in order to understand how the argument that “Allah is the moon-god” is, at best, fallacious. And only Allah knows best! The author would like to thank Dr. Stefan J. Wimmer from the University of Munich and the Friends of Abraham Society for the help offered in obtaining information and the relevant material on the statue of Hazor. Dr. Wimmer is not associated with bismikaallahuma.org. @Aaron Shaffier: Ha! You’re one heck of a slayer, Mr Israeli “Tour Guide”! Whilst Thanking You for not bothering to deflect towards the geopolitics for exercising the surprising instance of utmost neutrality by recognising the modern State of Israel (per a stereotypical worldview) would be just cheesy and cliché, bringing-it-up is rather necessary to expose such perceptions. Before replying definitely to your point, I’m having a little hard time in discerning the proclaimed “Cross” in the 2nd pic[ture], particularly given its resolution. Is it inside that circle embossed on the idol? ‘Cus the very same can be said about literally every monotheist religion, let alone the surviving Abrahamic ones. I’m at odds whether your beef is with Islam (and/or its most popular counterparts under the brand of “Islam”: Mohammedism) or all of such religions, equally — then. If you have Christians try to claim that the crescent at Hazor is a proto Islamic symbol, just ask them what the crosses found in the same temple represent. It seems that you have a fixed mindset about Islam. The substitute for your ignorance is to learn more about Islam and the Muslims and do not read materials from Islamophobes who propagate the myth that Muslims worship the devil. The issues you have mentioned here have already been addressed on this website itself. Any god that put women’s class beneath men and make men as women’s guardian that need to be obeyed is a false god! Any god that condone murder for the apostates is a devil in disguise. Any god that say i need humans to bow to me several times a day or they will be sent to the hellfire for disobeying is actually Lucifer himself.